In 1977, Iran was on the precipice of change. Yet on December 31st, US President Jimmy Carter described Iran as an “island of stability in one of the more troubled areas of the world”. Ironically, just a few months later, Iran would become engulfed in protests against the Shah’s regime and the country, which once appeared so stable, underwent drastic changes. Elsewhere, a truck driver strike has raged for more than a week. Truck drivers went on strike in hundreds of cities across all 31 Iranian provinces to vent their frustration at poor working conditions and unfair tariffs imposed by the regime. Despite petrol stations sitting empty, and long queues, the drivers have the support of the people. They know the difficulty Iran’s industries are facing without the existence of trade unions and the greedy mullahs imposing harsh taxes, fees, and tariffs at every opportunity. In Kazerun, initial protests against the regime grew in intensity after the Iranian security forces opened fire on protestors. Four protestors were killed in the incident, leading to further public outcry and demonstrations at the martyr’s funerals. In the last full week of May, there were more than 489 individual acts of defiance and protest against the regime. This amounted to some 69 protests every day. They were not limited by geography or demographic either, students, farmers, teachers, truck drivers, and shopkeepers were among those that took to the streets. In Tehran itself, strikes from local market stall owners left many shops and stalls closed. The regime has responded to the widespread protests with violent reprisals and repressive measures. They arrested protestors, fired on them with live ammunition, resorted to threats and blackmail, and carried out torture on suspects in prison. But the people will not be deterred. Fury drives the Iranian public. Fury at their economic circumstances, poverty is rife across Iran, as is unemployment and drought. They know that without regime change, they have no chance of escaping a life of poverty. The mullahs’ and Rouhani’s regime divert the flow of money into their own pockets. Corruption is widespread. Until these issues are addressed, the people will not be silenced. This is why the regime’s violence and barbaric suppression tactics will not work. The more protests erupt, the more the people can see regime change on the horizon. Each act of protest inspires the next. This momentum in Iran’s opposition movement is loosening the mullahs’ grip on power. 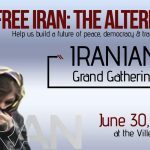 The most recent spate of protests has also been far better organized and coordinated than anything in Iran’s history. 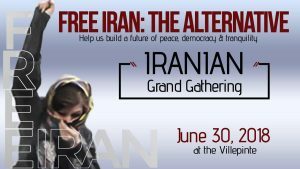 The People’s Mujahedin Organisation of Iran (MEK) has played a central role in the organization of the protests. With a strong organizational network and widespread public support, the protest movement can only get stronger. Europe is in danger of echoing Jimmy Carter’s position in 1977. The Iranian public has demonstrated their hunger for regime change. The protest movement within Iran is gathering steam, and the position of the mullahs looks untenable. Europe would be well-placed to avoid financial investment in Iran. Iran has no future with Rouhani and his cronies. The sooner Europe realizes that, the better.